If you thought that using a VPN service means that you’ll always have free and anonymous access to every website on the internet, a VPN block is a rude awakening. VPN blocks are firewalls set up by websites, ISPs, schools, or workplaces to detect when someone is using a VPN to access a website or content that is forbidden to them. VPN blocks come in various forms. The most common method of VPN blocking is to set a site to block the known IP addresses of VPNs. Because there are so many VPNs out there and they change their IP addresses so fast, it's impossible for anyone to block every single IP address of every VPN. This is why smaller VPNs sometimes work better than the more popular ones because their IPs are not yet known to the restricting bodies, and why VPNs keep adding and changing their IP addresses. Another approach is port blocking, which uses a firewall to block the ports used by OpenVPN. Finally, the most serious and effective VPN block is to use DPI (Deep Packet Inspection), which examines the data request sent by your computer to see if it has been sent through VPN protocols. Why Are VPNs Blocked Sometimes? You might wonder why VPNs would even be blocked to begin with. Well, when schools, workplaces, or entire countries decide that they don’t want people to visit certain websites, they don’t like it when those people use VPNs to do it anyway. Schools and workplaces might block VPNs so that students and employees can’t waste time on social media or access sites that could be offensive to others. More seriously, repressive regimes want to stop people from using certain websites or enforce government surveillance of everything that people say online. Journalists and political dissidents in countries like China, who use a VPN to protect their anonymity when they express their freedom of thought (you may have heard of the ‘Great Firewall of China’), are seriously hampered by VPN blocks. Finally, individual companies use VPN blocks to enforce their georestrictions. The best-known VPN blocker is Netflix. Most of Netflix's vast library of movies and shows aren't available to viewers outside of the US because of copyright issues, so movie-lovers use a VPN to get around this. To stop viewers from using a VPN to watch whatever they’d like, Netflix, Spotify, Showtime, and other content streaming sites set up VPN blocks. Is it Legal to Bypass a VPN Block? This is a complicated question. Even in countries like China and Iran, which use VPN blocks for political censorship, it's not actually illegal to use a VPN. If you are caught using a VPN, and you're already under suspicion for expressing opposing political opinions, you might not come out of it on top. It’s important to note that the United Arab Emirates is the only country where using a VPN is actually illegal. If we’re talking about bypassing local VPN blocks at school or work, then bear in mind that the owner of the local network is legally permitted to place whatever block they’d like on users of their network. If you’re caught breaking school or workplace rules about internet use, then you could be suspended or fired, so do consider the consequences first. What’s the Best Way to Bypass a VPN Block? If you want to succeed at bypassing a VPN block, part of the solution is to understand what type of VPN block you’re facing. For example, if you’re at school and want to get around the local block on YouTube without having to leave campus, you’ll probably find it easier than trying to unblock Netflix USA from Malaysia. If you’re in China and you want to access any one of the many websites that have been blocked by the government, you’ll need a different solution than if you’re in an open internet society such as Australia. To bypass VPN blocks at school or work, you might succeed by just using your mobile data connection instead of the local network. Sure, you’ll have to pay for data on your cell phone plan, but you’ll be able to freely use Facebook and YouTube without breaking any rules. In many repressive VPN-blocking regimes, the main approach is to block internet users from getting to VPN sites in the first place. If you plan ahead and download a strong VPN like ExpressVPN before you travel, you should be able to use it within the country without any problem. ExpressVPN has hundreds of servers worldwide and strong encryption and privacy policies. If you forgot to do this, you'd need to use a proxy like the TOR or Shadowsocks to get to the VPN sites. Because many VPN blocks work by forbidding access to known VPN IP addresses, smaller VPNs like Hotspot Shield are sometimes more effective than the bigger ones. If the IP address of your VPN isn’t yet known, you’ll be able to slide under the radar of the VPN block. Large VPN services like ExpressVPN also frequently cycle their IP addresses to create new ones that haven’t (yet) been blocked, so that you can keep on defeating VPN blocks even with a well-known provider. Things change all the time and a VPN that works today might fail tomorrow, so it's a great idea to take advantage of the free trials offered by VPNs like NordVPN and PureVPN . If you’re using a VPN to watch movies on Netflix or Showtime or to visit one of the many forbidden sites from China or Iran, you’ll need to try some more advanced moves. 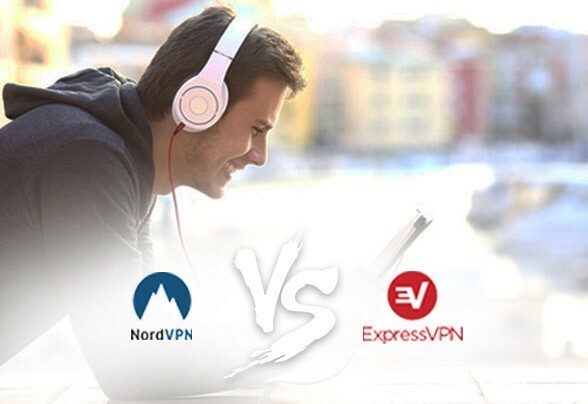 Switching which port you use through your VPN is easy on VPNs like NordVPN and CyberGhost that use OpenVPN protocols. Port 80 and Port 443 are both usually successful at getting past VPN blocks. Another approach is to use SSL tunneling. This means using stunnel software to wrap your OpenVPN-encrypted data in yet another layer of encryption to hide the fact that it’s a VPN. The software for stunnel isn’t easy to use, so while it’s highly effective, it’s also not very accessible if you aren’t a tech whiz. SSH tunnels work in a similar way to stunnels, but your internet connection will be a bit slower, and you'll also need to learn a good deal of programming to configure SSH tunnels. Finally, some advanced VPNs use smart DNS routing, which is harder to block than VPN protocols. It's not a common approach, and DNS services also aren't fail-proof, but if you've been having trouble using other methods, then a DNS service could be worth a try. ExpressVPN is one of the few that does offer DNS protection. Whether you want to use social media at school, keep up with your favorite shows while traveling, or need to bypass restrictive regime blocks as a journalist or activist, there are ways to keep the internet as free and open as it should be. Bypassing VPN blocks might take some work, but it’s certainly possible. The Top10 VPN staff is comprised of professionals with a vast knowledge across the world of VPN technology and companies. Members of our international team have extensive first-hand online experience in utilizing strategies for supporting VPN users and copywriting and editing for various online and print publications.